"From the Revolutionary War through the conflict in Vietnam, this handsome catalog presents over 1,500 arresting black and white images relating to American military history--all selected from the National Archives collection of more than 6 million still pictures . 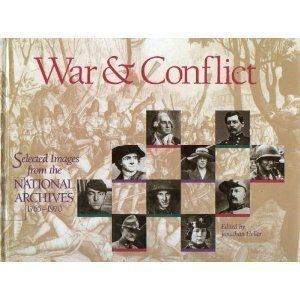 . . An introduction discusses the history of war photography and the National Archives' still picture collection; an index of artists and photographers is also included." --the publisher. These images are in the public domain and may be used without restriction. Ordering information is included.